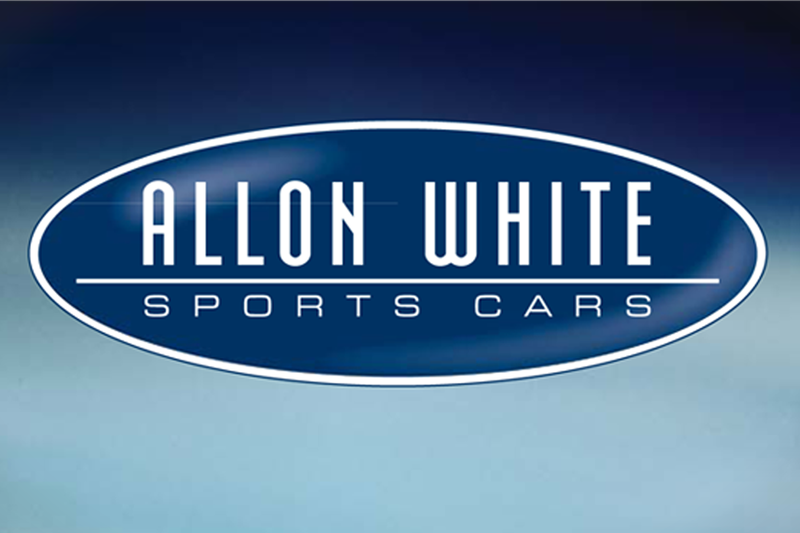 We created a new Brand Identity for Allon White Sports Cars to use on their marketing communications. 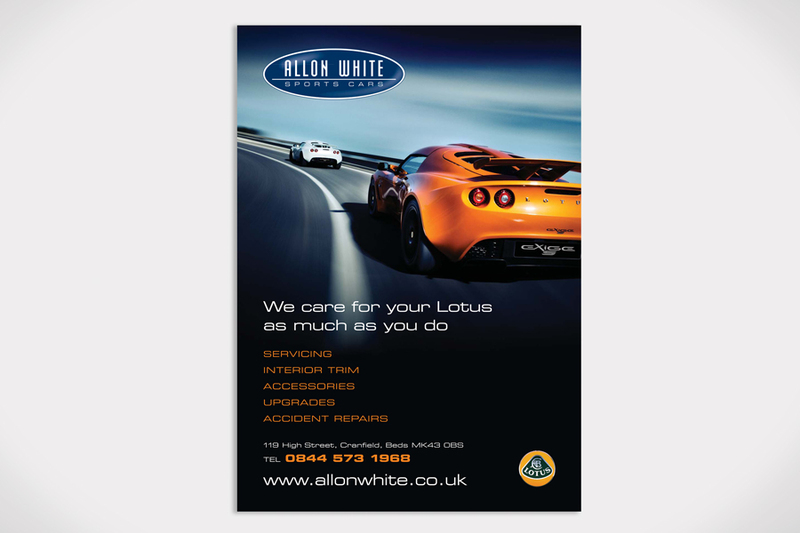 One of the UK’s longest established Morgan car dealers and an official ‘Authorised Repairer’ appointed by Lotus Cars Ltd. Allon White is a petrol-head’s dream, just be careful not to drool over the immaculate upholstery. 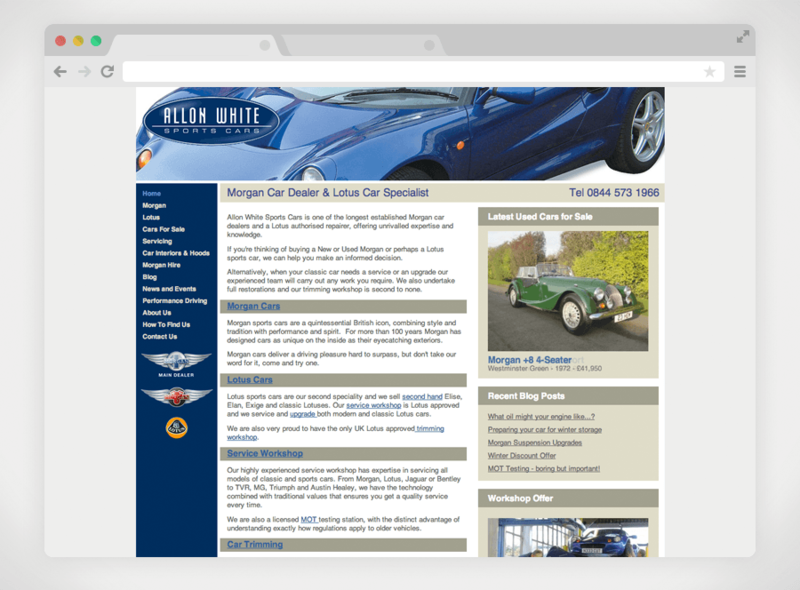 Created a top ranking, fully CMS driven website, a powerful corporate ID and marketing collateral that Morgan use as an example to other dealers of how to get it right. 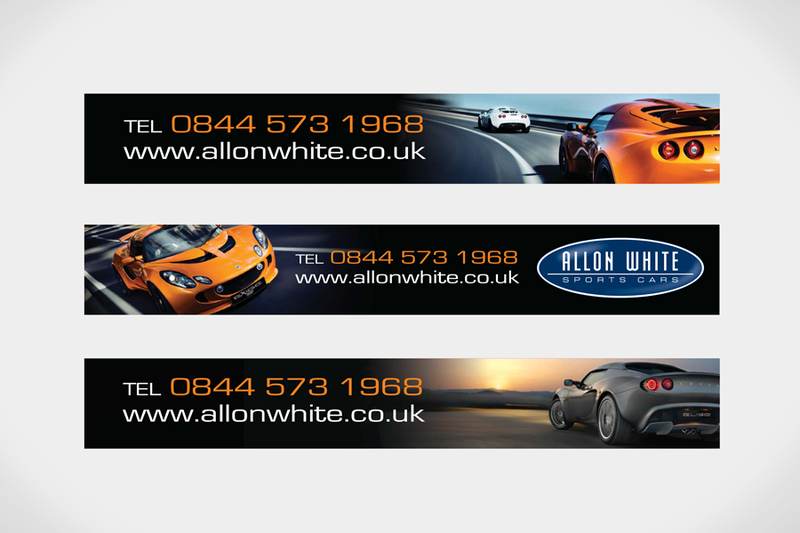 Careful media choices, a strong identity and website, help ensure Allon White stays ahead of the competition and remains busy despite the economic down turn.